1. The Council for the Indian School Certificate Examinations was established in 1958 by the University of Cambridge Local Examinations Syndicate with the assistance of the Inter-State Board of Anglo-Indian Education. It is registered under the Societies Registration Act No. XXI of 1860. 2. The Delhi Education Act, 1973, passed by Parliament, in Chapter I under Definitions Section 2(s), recognizes the Council as a body conducting public examinations. 3. 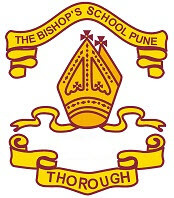 The Council has been so constituted as to secure suitable representation of Governments responsible for schools (which are affiliated to it) in their State / Territories, the Inter-State Board for Anglo-Indian Education, the Association of Indian Universities, the Association of Heads of Anglo-Indian Schools, the Indian Public Schools Conference for the I.S.C. Examination and eminent educationists. 4. The Council is administered by an Executive Committee consisting of the Chairman and four members elected by the Council. The Chief Executive and Secretary of the Council is the ex-officio Secretary of the Committee. 5. The Chief Executive and Secretary acts as Secretary of the Council under the authority of the Chairman. Subject to the overall control of the Council and the Executive Committee, the Chief Executive and Secretary exercises all powers of the Council related to the administration of the examinations in accordance with the provisions of the Regulations and other rules and procedures approved by the Council from time to time and for the time being in force. 6. The Council conducts the Indian Certificate of Secondary Education, the Indian School Certificate and the Certificate of Vocational Education, Examinations. 7. There is a Committee on Examinations and subject Committees for drawing up and revising syllabuses and receiving criticisms and suggestions. The Council has its won teams of trained examiners, specialists and competent advisers. 1. The Indian School Certificate Examination has been designed as an examination, through the medium of English, in accordance with the recommendations of the New Education Policy 1986, after a two-year course of studies beyond the Indian Certificate of Secondary Education (Year – 10) Examination or its equivalent. 2. Private candidates are not permitted to appear for the examination. 1. a. Candidates who have been awarded Pass Certificate in the Indian Certificate of Secondary Education Examination with passes in five subjects including English and a second language are eligible to be admitted for preparation in courses of study leading to the Indian School Certificate Examination. b. Candidates who have been awarded Pass Certificate in the Indian Certificate of Secondary Education Examination with passes in five subjects including English, but without a pass in the second language, may be admitted provisionally to the first year of the course. They will be required to pass in the second language of the Indian Certificate of Secondary Education Examination at the end of Class VI before being declared eligibility for promotion to Class VII, in preparation for the Indian School Certificate (Year – 12) Examination. 2. a. The eligibility of candidates who have been awarded Pass Certificates in an equivalent examination conducted by another Examining Board will be decided by the Chief Executive and Secretary of the Council. 1. The candidate must have been awarded a Pass Certificate in accordance with the requirements of the Board at an equivalent examination taken at one and the same sitting, and subject to provisions 2 (a) (ii) an d2 (b). 2. The candidate must have obtained pass marks in accordance with the regulations of the Board in (i) English (ii) a Second Language (as distinct from English) and (iii) three other written subjects, accepted by the Council. b. After obtaining a Clearance Certificate form the Council, Heads of Schools may admit provisionally in Class XI, a candidate who has been thus awarded a Pass Certificate by another Examining Board. They must submit to the Council immediately on granting provisional admission certified true copies of the Statement of Marks issued to the candidate by the Examining Boards. If the candidate is eligible, the Council will issue an Eligibility Certificate to the Head of the School concerned is respect of the candidate. Note : The Clearance Certificate shall be granted by the Council on the basis of the mark sheet awarded to the candidate. c. Heads of Schools may also admit provisionally a candidate who has been awarded a Pass Certificate in an equivalent examination conducted by another Board with pass marks in English but without a pass in a Second Language. Such a candidate, however, will be required to pass in the Second Language of the Indian Certificate of Secondary Education Examination at the end of Class XI before being declared eligible for promotion to Class XII in preparation for the Indian School Certificate (Year – 12) Examination. In this case the Eligibility Certificate will be issued after the candidate has been declared to have passed in the Second Language. Note : This provision does not apply in cases where the Board does not have provision for the teaching of a second language. Exemption from study of a second language. Candidates coming from foreign and State Boards that do not have provision for the teaching of a Second Language, may enroll for the ISC (12) examination without having to pass in Second Language at the Class X level examination. The Heads of concerned Schools are required to write to the Secretary with full details for grant of exemption to these candidates. 1. Entry to the Indian School Certificate Examination in the case of eligible candidates who are being entered for the first time is restricted to candidates with a minimum of 75% attendance of the wording days during each year of the two-year course at school(s) affiliated to the Council and registered for the Indian School Certificate Examination. The last date of computing attendance at schools in February 15, of the year of the examinations. Candidates may be entered only by the school they are attending and in this respect, the decision of the Head of the school is final. 2. Candidates who are entered as school candidates in accordance with (1) above, and who were not awarded Pass Certificates may be entered again by a school on the school entry form, provided that such candidates are in attendance at an affiliated and registered school in the year of examination. Candidates can be entered only by the school they are attending and in this respect, the decision of the Head of the school is final. 3. Candidates entered as school candidates in accordance with (1) or (2) above and who are not awarded Pass Certificates will be permitted to re-appear for the examination once only in the year following their failure but not thereafter, without further attendance at an affiliated and registered school. They must apply on the special form provided for the purpose, which will be obtainable form the Council’s office, through the Principals of Schools from which the candidates appeared for the examination in the previous year and failed. 4 . Candidates who have been awarded Pass Certificates will be permitted to enter for a Supplementary Pass Certificate in any of the subjects offered for the ISC examinations earlier by a candidate without further attendance at an affiliated and registered school. Candidates who wish to appear for a subject other than that they offered at the ISC (12) examinations will be required to complete and pass Class XI portion for the prescribed syllabus before they enter for the ISC (12) examination. They must apply on the special form provided for the purpose, which will be obtainable from the Council’s office through the Principals of Schools from which the candidates appeared originally for the examination. 5. There is no age limit for candidates taking the examination. Candidates whose attendance is below 75% of the working days are ordinarily not eligible to sit for the examination. However, the Chief Executive and Secretary has authority to condone the shortage in the case of candidates whose minimum attendance is not less than 60% of the wording days . Heads of Schools may represent to the Chief Executive and Secretary Cases of candidates who deserve special consideration for condonation, provided that the attendance of such candidates is not less than 60% of the working days. The last date for computing attendance at school is February 15, of the year of the examination. b. At the express written request of the parents / legal guardians of the candidates. Applications for withdrawals will have to be submitted on the special form to be supplied by the Council’s office. Refunds in the case of candidates duly withdrawn will be made in accordance with the conditions laid down under the heading ‘Refunds’ on page 9 of these Regulations. The Regulations and syllabuses of the Indian Certificate of Secondary Education Examination are included in this booklet and are obtainable from Evergreen Publications, 4738/23, Ansari Road, Daryaganj, New Delhi – 110 002. If any of the regulations made for the conduct of the examination is disobeyed, the candidate or candidates concerned may be disqualified.